Activate your new international phone number in 60 seconds. Choose from phone numbers in over 120+ countries and 1,000 cities. Forward your calls to any phone number in the world. Your customers don't like calling complicated international phone numbers and country codes. Offer them a recognizable local phone number they can trust. Expand your businesses reach in 60 seconds by activating toll-free or local phone numbers in 120+ countries. With Smart Call Forwarding, your international phone number can be forwarded to any phone in the world - home, office or mobile. Our online Web Control Center allows you to easily and instantly customize your call settings. 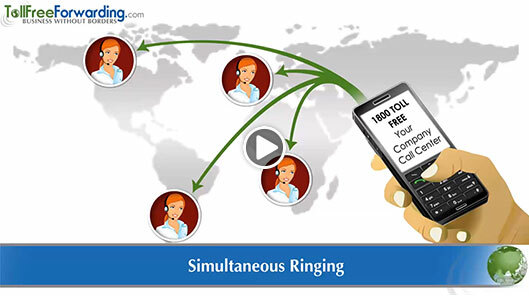 Simultaneous & Sequential Ringing is an advanced feature of Smart Call Forwarding. Using our online Web Control Center, you can configure your international phone number to ring multiple phone numbers simultaneously or in any order you choose so you don't miss your important calls. 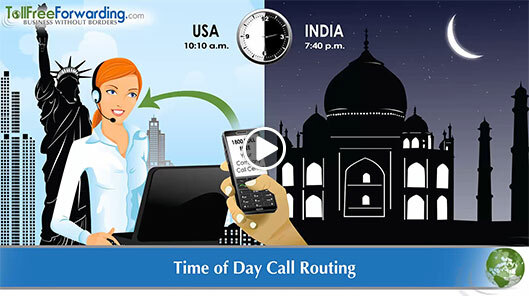 Time/Day Call Routing is a powerful feature that manages your incoming calls. Route your calls based on your business hours and days of the week. Forward calls to your call center during business hours and then to your voicemail during off hours. Use our online Web Control Center to get a new phone number, manage your existing phone numbers, view your messages, access billing information, update your account information, and view your call history. With VoiceMail2MyEmailTM you can receive incoming voicemail in your email. 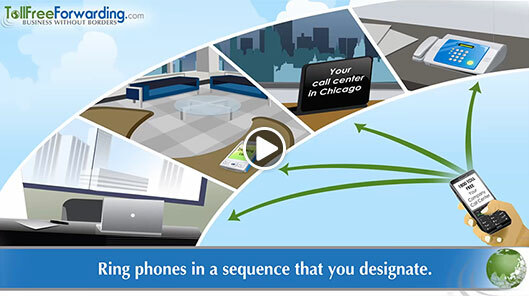 Every time a call goes unanswered, we will record the message and immediately send it to your email. Additionally, voicemail may be accessed through the Web Control Center. 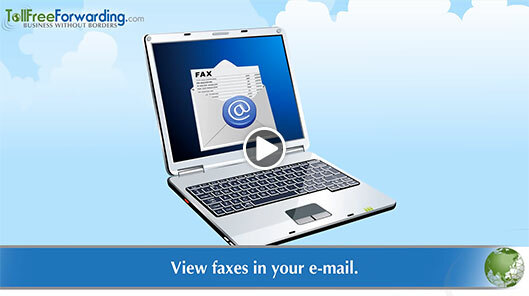 With Fax2MyEmailTM, receive incoming faxes directly in your email. Incoming faxes are attached to email as tiff or PDF files . With PDFs you have the option of password protecting your incoming faxes to guard sensitive information. For businesses with shared support, incoming faxes can be delivered to multiple email accounts.